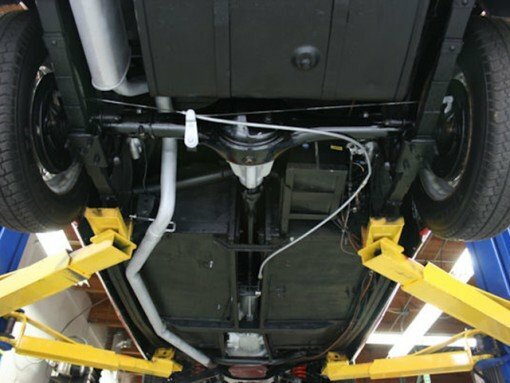 We also carry about not only basic repairs but pro level servicing – A, B or C services, or our full pro service including such options as magnetic sump plugs, brake line upgrades, performance air mods, and cosmetic overhauls of your wheel arch area, engine bay, or outer bodywork. Why not combine getting your vehicle serviced and brought back to perfect, purring quality with soundproofing or upgraded lights to add to the overall package. We can MOT your vehicle as part of your service. Those niggling problems that your local garage can’t/won’t fix? We can handle them for you – we don’t charge for on-ramp time, limiting your cost only to the labour itself. Problem-solving is free – if we can’t fix it immediately, we will work out the problem for you free of charge and simply charge to implement the solution. We offer vehicle diagnostics for a wide range of modern and older vehicles.